Travel To Norway With Kids Through Mountains, Fjords, and More! Travel to Norway offers a spectacular package steeped with nature, culture, and dramatic scenery. Norway is lined with epic fjords and towering mountains. And through all that, some of the most unique travel packages around. Norway is a tall country, stretching from the tip of Northern UK and reaching up to the northernmost point in mainland Europe. Because of it’s position and size, a large portion of Norway lies north of the Arctic Circle. 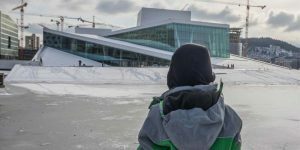 Our Norway guide for families has tips on the best cities in Norway for family travel as well as how to do some of Norway’s most iconic adventures with kids. 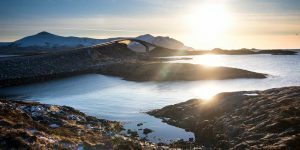 Discover the Hurtigruten ferry that travels along one of the world’s most stunning coastlines from the top of Europe down to the beautiful city of Bergen. 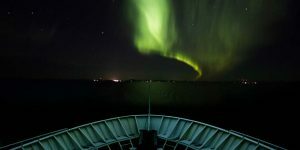 Or the Norway in a Nutshell tour that combines trains, boats, and buses through some of the most incredible natural wonders around. Traveling to Norway with kids offers the chance to experience Europe’s only indegenous people, the Sami. And experience one of the most fascinating countries in Scandinavia. Explore the Best of Norway with Kids! Check out some of our most popular Norway blog posts. We spent far too little time in Bergen Norway. But during our short visit, it quickly became one of our favorite European cities! 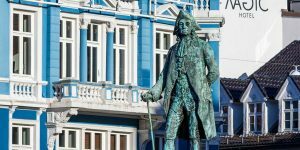 Discover the best way to spend a short stay in Bergen Norway with kids. Packing for cold weather destinations can be a challenge. 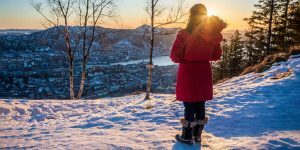 Our packing guide for Norway in winter lays out what you need to bring and helps you know what you can leave behind. 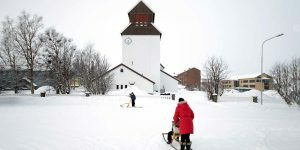 Be prepared for winter in Norway with this essential guide for family travel in Norway. 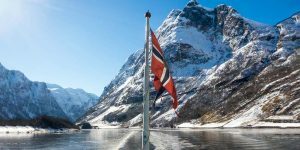 Combining epic train journeys, winding mountain bus-rides, and a UNESCO World Heritage Norwegian fjord, the Norway in a Nutshell Bergen to Oslo tour is one of Norway’s most spectacular journeys. Norway is one of the most expensive countries for travel, but there are ways to travel Norway on a budget. Using Norway’s excellent public transit system is one of those budget travel hacks. There are also excellent city passes available in most major cities such as Bergen and Oslo. 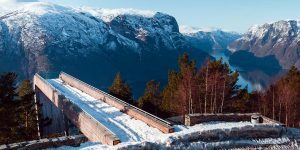 Here are a few things to know from our travel Norway Guide to help you get started on your family vacation to Norway. Norway uses the Norwegian krone. The average value is approximately $0.12 USD. You can check the current exchange rate here. The Capital of Norway is Oslo. This sprawling city is home to nearly 650,000 people. It is also the home of the King and Queen of Norway. Norway uses C and F type Europlug sockets. The standard voltage is 220 V and the standard frequency is 50 Hz. Cell phone service is readily available in more than 95% of Norway. The main carriers are Telenor and NetCom. Roads and highways in Norway are well-maintained. During the winter much of Norway requires the use of studded or chained tires due to snow and ice buildup. We highly recommend family travel in Norway. There are many amazing things to experience. And the people of Norway are very warm and inviting, especially towards children and families.